Dry needling is a skilled intervention that uses a thin liform needle to penetrate the skin and stimulate underlying myofascial trigger points, muscular, and connective tissues for the management of neu- romusculoskeletal pain and movement impairments. Dry needling (DN) is a technique used to treat dysfunctions in skeletal muscle, fascia, and connective tissue, and, diminish persistent peripheral no- ciceptive input, and reduce or restore impairments of body structure and function leading to improved activity and participation. DN also is indicated with restrictions in range of motion due to contractured muscle bers or taut bands, or other soft tissue restrictions, such as fascial adhesions or scar tissue. Researches show that DN also helps in numerous diagnoses, such as radiculopathies, joint dysfunction, disk pathology, tendonitis, craniomandibular dysfunction, migraines, tension-type headaches, carpal tunnel syndrome, computer-related disorders, whiplash associated disorders, spinal dysfunction, pelvic pain, among others. 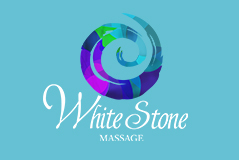 Add this therapy to your treatment for $15 on top of normal price.